See Clearly with Keratoconus. Today. At Village Eyecare, we have been treating patients with keratoconus and irregular corneas in Chicago for over 20 years, making us one of the largest keratoconus clinics in Illinois. Our doctors are experienced in treating complex cases and have a high success rate in improving our patients’ vision. Please watch the videos below to hear firsthand from our patients how we have improved their lives. Call our office for a FREE consultation in Chicago today. We accept most medical and vision insurance plans (VSP, Eyemed, Davis, Spectera) as well as Care Credit. 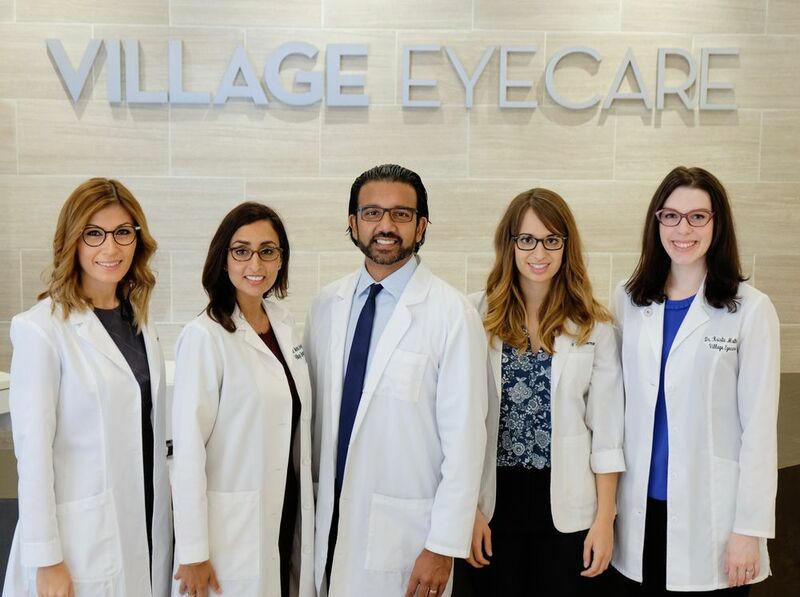 Dr. Satti Sarai and the Village Eyecare team are dedicated to providing patients with the best in eye care. Modern technology has transformed the diagnostic and treatment options that are available, helping people with all types of eye conditions see and feel better than ever. Please call our office for a free consultation today. Great service and attentiveness. Was in dyer need of a 3rd opinion My daughter recently has been diagnosed with having Keratoconus. The staff at Village Eyecare squeezed her in the same day. Dr. Sarai was very Knowledgeable and comforting. He went beyond and took steps to prevent her good eye from going bad, and gave us some relief. Earlier this year I was diagnosed with Keratoconus by a different doctor in the city. His bedside manners were terrible and I was whisked away quickly without explanation. I went to see Dr. Sarai for a second opinion and my experience with him was a complete 180. Dr. Sarai took his time to explain the diagnosis, reviewed all my options with me and was very patient when answering all my questions. I am very happy that I went to Village Eyecare and will continue to make it my primary eye doctor. Clean, professional, and courteous, I didn’t feel rushed. The staff knew what they were doing. The Dr was confident and was very familiar with my condition, keratoconus, which is a nightmare. He adjusted my vision in one sitting using state of the art equipment. Usually, it takes several adjustments in the first sitting. This time only one. I cannot wait to try my new contacts on, and see if I need another adjustment. Not to mention that the staff smiled and just made the experience better.